This is the first garment I've made in recent months that when worn has elicited the response "Where did you buy it?" instead of asking if I've made it myself. 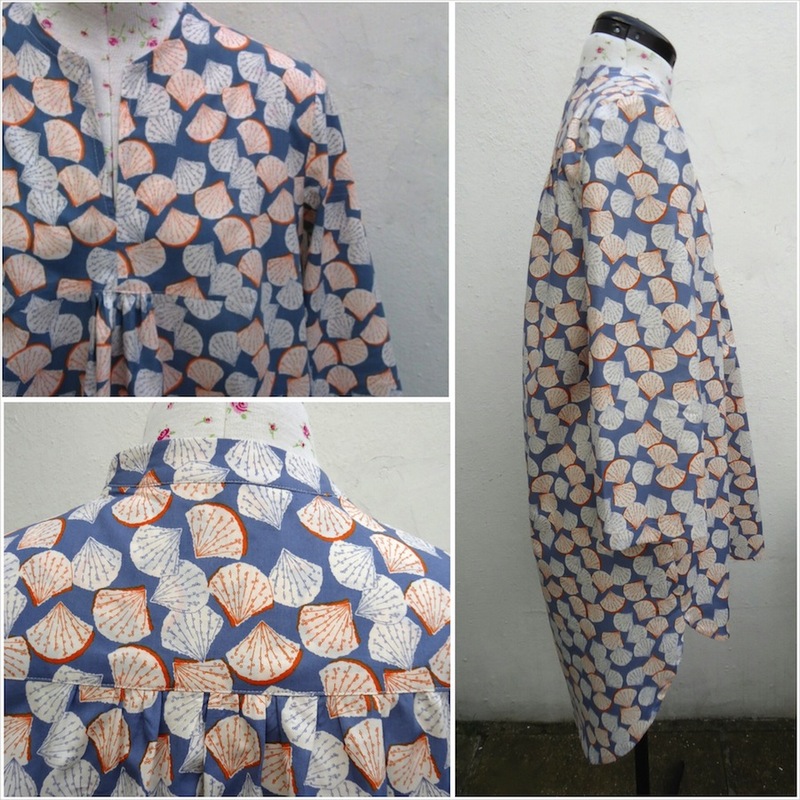 I don't mind at all if people can tell my clothes are homemade, on the contrary I'm a happy ambassador for home-grown fashion but must admit this blouse is a tad more sophisticated and muted than my usual handmade creations and I am rather tickled that it passes as 'shop bought'! The sewing pattern Burda Style 7220 contains two different blouses (A and B), both reminiscent of Issey Miyake's futuristic chic office wear of the late 1980s. The fabric is Sea Island Cotton by Peter Horton Textiles. It has a lovely dense weave and is smooth to the touch, crisp to cut, and wears and washes well too. 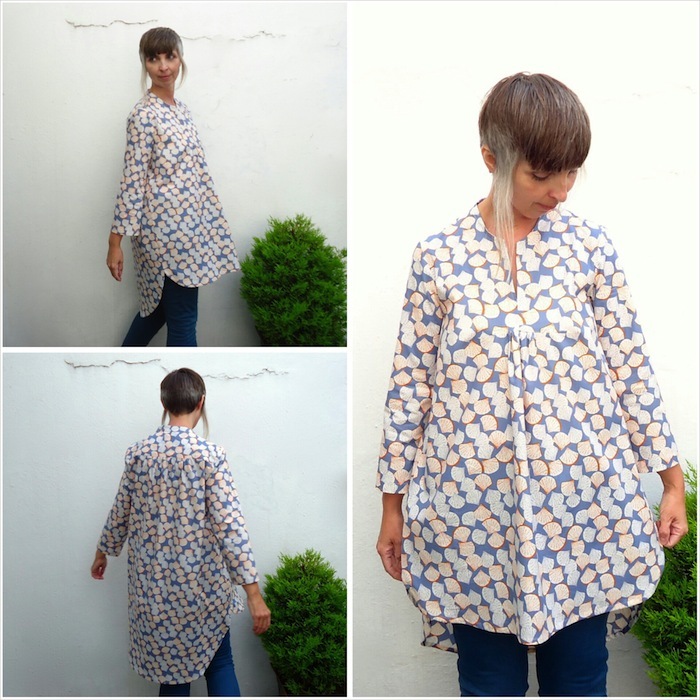 I decided to make version A first, a collarless short sleeve blouse with high-low hem and centre front gathers. I drafted a longer sleeve to finish just above my wrist as I thought the above-elbow sleeve would be unflattering. 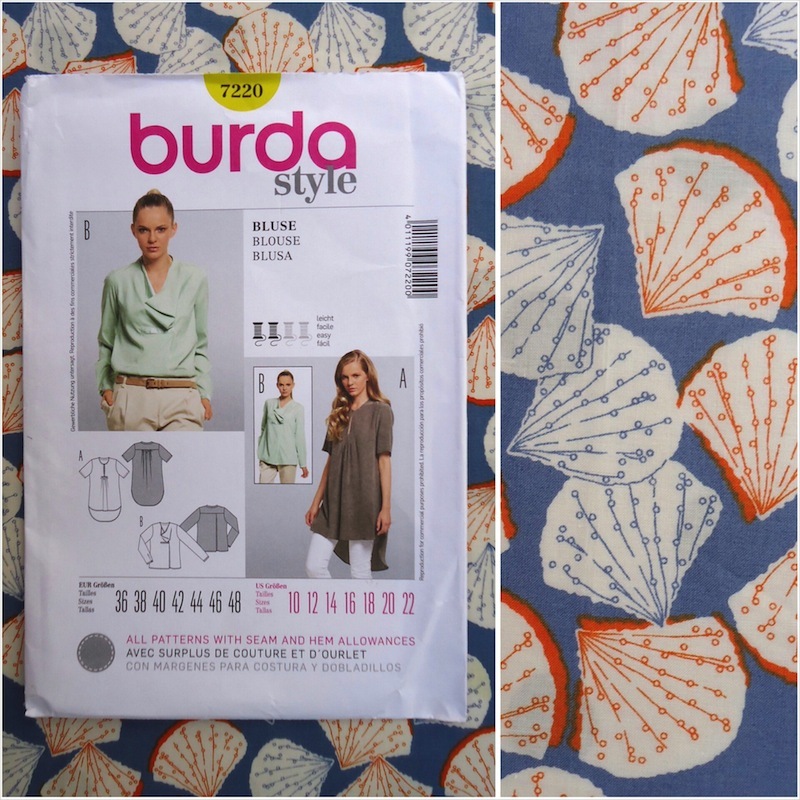 Burda's sewing pattern instructions were quite baffling to follow but as soon as I discarded them and just followed the diagrams instead it was an easy shirt to make.